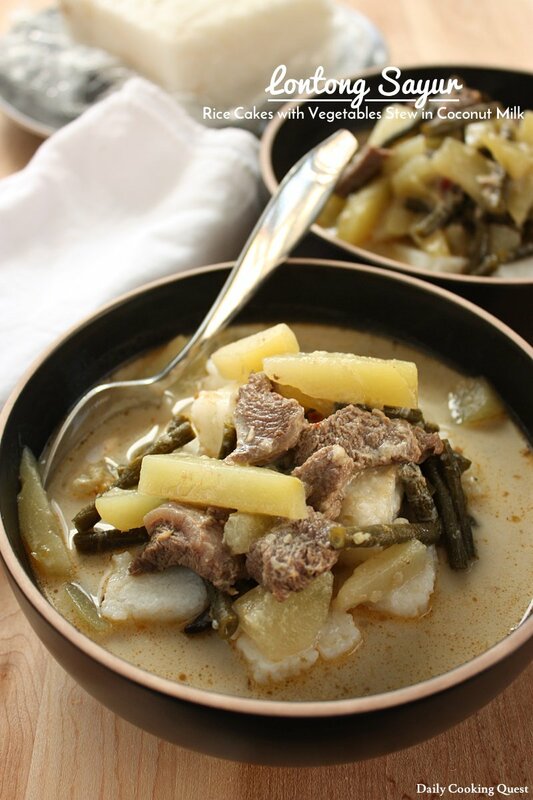 Many Indonesian dishes are created to be consumed with ketupat or lontong (a.k.a. rice cakes) and lontong sayur is perhaps one of the more popular one, it even has lontong in its name! 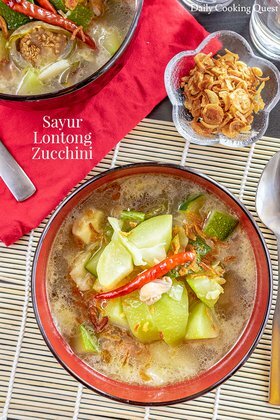 Lontong sayur is quite a versatile dish, some consider this a breakfast item, while others snack, main dish, and even showing up in festive events like wedding receptions. This is also a very easy dish to make in huge volume, since they taste good even after a couple of days in the fridge. For those who are busy and can’t cook everyday, having this stocked in the fridge along with home made ketupat will ensure a good meal in busy times. Heat oil in a pot and sauté spice paste and bay leaves until fragrant. Add beef and cook until no longer pink. Add chayotte, snake beans, and stink beans. Cook until vegetables start to wilt. Add coconut milk, fish sauce, and palm sugar. Bring to a boil. Reduce heat and cook until the meat is tender. You can add more boiling water if the liquid reduces, try to keep the liquid to 2 liter. Add more palm sugar and salt to suit your taste. Turn off heat. 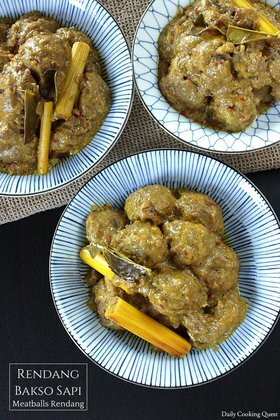 Transfer to serving bowls, and serve with rice cakes (Indonesian: ketupat/lontong). 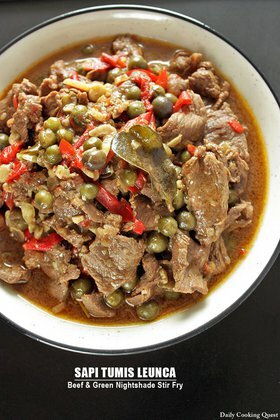 (*) Use red anaheim chilies (Indonesian: cabe merah besar) for a less spicy dish.